Messy Beautiful Love is about cleaning up messes God's way, exchanging your ideas for His, and being prepared for both the best and the worst that marriage has to offer. Messy Beautiful Love is an invitation to that obedience. The cynical world says marriages don't last, but God knows better. Tune out the world and tune in to Him. When you do that, a beautiful marriage is not only possible; it's inevitable. 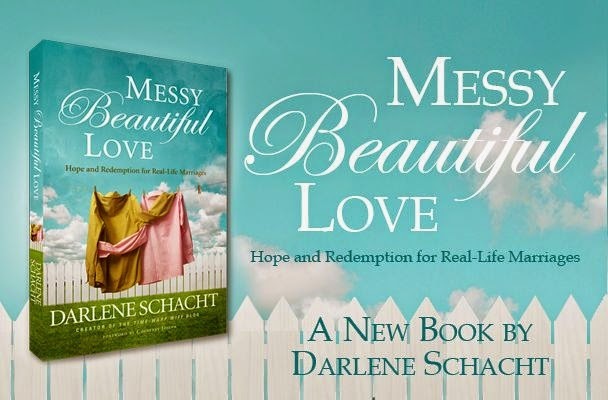 What stood out the most to me in Messy Beautiful Love was the transparent honesty which Darlene Schacht used to tell her story. In the opening chapter you quickly find out that she had an extra-marital affair. I'm not sure that I would be brave enough to put that on paper for the world to see, but Darlene followed the lead of Christ and is using her story to reach those in similar situations. The title of the book is very appropriate. If you have been married for any length of time you already know that some of the magic fades and real life enters in. Darlene shares about the struggles in their early married life with a candor that is to be admired. It would be easy to say "it was his fault" and go on, but she tells her story in a way that allows you to relate to the whole situation. I can almost guarantee that we've all been there. 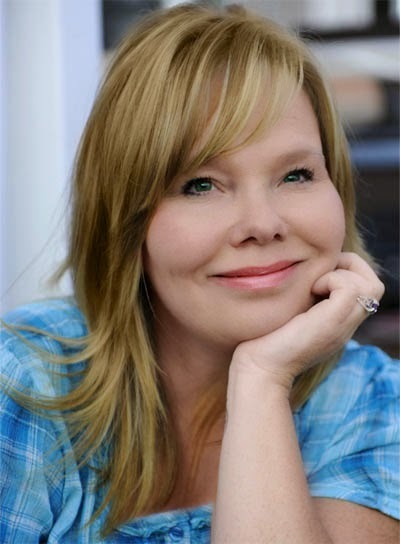 If you've not had a fixer-upper, or a home-based business, or more than one kiddo under the age of three then you may not relate to how things took a nose-dive. But if you are like most of us you can envision how discontent can settle in. While the beginning of the book deals with the fallout of the affair the middle to end are all about the hope we can have in building a loving and lasting marriage. This isn't your typical marriage book, but it is one that I think you will benefit from reading if you are married for any length of time at all.